Choose Us, Choose to Feel Better! The ulnar collateral ligament (UCL) is a band of tissue that connects the inside of the upper arm bone to the inside of the forearm at the elbow. It helps to support and stabilize the arm during movements like throwing a ball, but is commonly injured in sports that require lots of overhead motions, particularly baseball. In fact, UCL injuries are often considered the most prevalent overuse injury in baseball, meaning it results from too much time throwing without enough rest. The number of UCL injuries in baseball has been steadily increasing in recent years, and along with it, so has the rate of surgeries to address them. This is true on all levels of play, as the incidence of UCL reconstruction (surgery for UCL injuries) is increasing in the major leagues and down to the level of 15-19-year-olds. However, it's important to point out that the majority of injuries to the UCL do not actually require surgery. Research has shown that 84% of professional baseball players with partial UCL tears have been able to successfully return to play after completing non-surgical treatment like physical therapy, yet many players continue to have surgery. For this reason, a review was published to explain why non-surgical treatment should be used for most UCL injuries and what can be done to ensure a safe return to baseball. After a baseball player is injured, an athletic trainer, physical therapist or some other medical professional must examine him to diagnose the problem. Common symptoms of a UCL injury include swelling, tenderness, loss of throwing speed or control, and pain in the middle of the elbow that is particularly strong while throwing. UCL tears usually develop gradually over time and are noticed by a gradual decline in the ability to throw, although some players experience them suddenly during play with a "popping" sensation. If a UCL injury is suspected, an imaging test like an X-ray, MRI or ultrasound is often needed to confirm it. Most experts recommend that non-surgical care should be used at first to treat most UCL injuries. Non-surgical rehabilitation of these injuries is usually guided by a course of physical therapy and broken down into three phases. The goals of phase 1 are to reduce pain and restore pain-free elbow and shoulder motion through a variety of strengthening exercises. Once the patient can perform certain movements with no pain and minimal tenderness, they may progress to phase 2, in which the goals are to normalize strength and to start performing sport-specific activities. In this phase, the intensity of the strengthening exercises should be increased and patients should begin preparing for throwing again with medicine ball exercises. Finally, phase 3 is the return-to-sport phase, which can begin once the patient has a satisfactory exam, usually after about six weeks. The central part of phase 3 is a return-to-sport interval-throwing program (ITP), in which players are instructed on how to throw and pitch properly in order to avoid future injuries, which may last several weeks. This should also be accompanied with the physical therapist identifying any other factors that may increase the risk for injury-such as pitching too many fastballs, pitching through pain and not taking enough time off each year-and offering advice on how to address them. If all of these components are followed, most patients with UCL injuries can expect to recover safely and return to baseball at a similar level as before the injury. 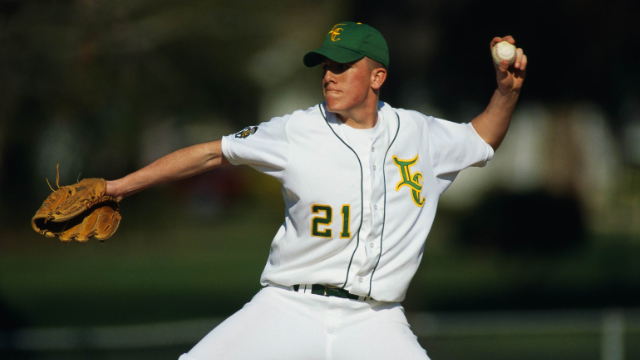 Baseball players with these injuries are therefore encouraged to visit a physical therapist for an evaluation and treatment recommendations before considering surgery. Copyright 2019 Midwest Physical Therapy, All Rights Reserved. Powered by E-Rehab.